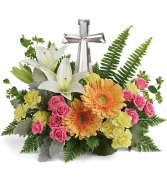 This beautiful bouquet is a cheery mix of spring flowers with a stunning crystal cross. 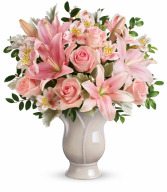 This lovely arrangement would be a beautiful sympathy gift The colors of the bouquet are not only stunning but very classy looking with a combination of roses and lilies. 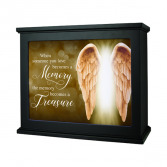 This stunning light box is comprised of wood composite and acrylic insert protectors. 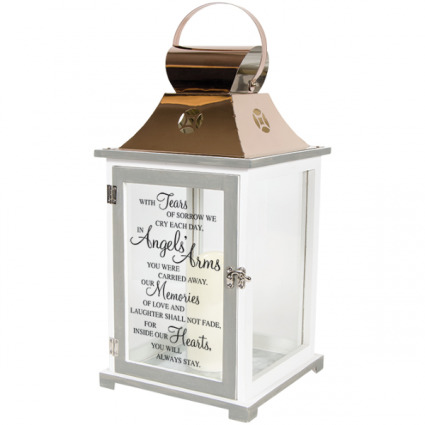 Includes a 7 watt bulb and electric cord with an on/off switch. The dimensions of the box shown are: H 9", W 10.75" and D. 4.5". The box can be upgraded for $90.00 by adding it to a fresh arrangement.